After a devastating flood orphaned Noelle Brown, she thought her handsome and charming benefactor, Andrew Paige, could be the man of her dreams. So why did his steely-eyed older stepbrother, Jared Dunn, make her heart race and her breath catch in her throat? 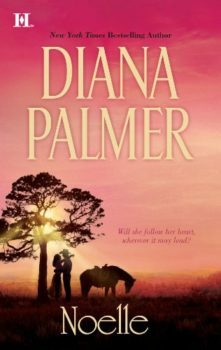 Desperado turned lawman, Jared had come home to Fort Worth, Texas, ready to leave his dangerous past behind. The green-eyed, feisty young woman his stepbrother had taken in wasn’t the gold digger Jared had expected. Far from it—the unconventional, innocent beauty needed his guidance to learn the ways of high society, a task he found surprisingly enjoyable. When scandal threatened them all, Noelle would be forced to marry to save the family’s honor. But which brother had truly captured her heart? With rivalry pitting brother against brother, one thing was for certain—this wouldn’t be a marriage of convenience! Originally published August 1995 by Ivy Books and December 2009 in trade paperback by HQN.